Hello and Good Morning - hope you've had a lovely weekend. We had a smashing weekend.....on Friday we had another little theatre trip to London - this time we went to see Beautiful - The Carol King Story. This was a Christmas pressie for Megan and I have to say, it was absolutely brilliant. I didn't know a great deal about Carol King beforehand, and had no idea that she was behind so many songs that we're all so familiar with - fantastic performances from all of the cast and this is definately one I would recommend. I have always been a fan of musicals and we are very lucky to be so close to London and have these little treats from time to time. We've all got our favourites haven't we - as far as Carols are concerned mine would be O Holy Night, and when it comes to a Christmas song it would have to be Fairytale of New York all day long. 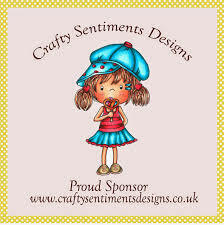 Who have become great friends of The Cutie Pie challenge, so we are delighted to have them with us at CWTC. the papers are from a very old Papermania Christmas stack - I actually bought it in a Paper Mill Shop, when they were still open, so that's how long ago!!! Our design team have been super busy creating some amazing cards to share with you,so I do hope you will hop on over for a visit. Lisa this is such a beautiful project. Great card Lisa, cute image and super design. Gorgeous card Lisa, love that cute snowman. Wonderful Christmas card Lisa! The snowman and robin are really cute. 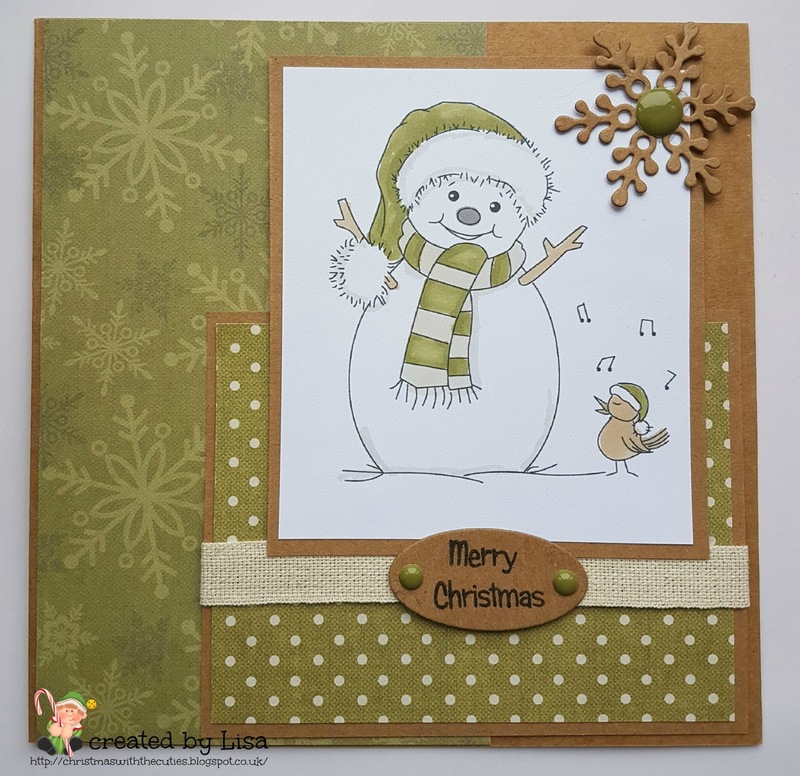 A fabulous card Lisa, such a fun snowman and lovely papers - you have chosen a super colour combination. This is gorgeous Lisa, adorable image and I love the soft colours.